"Colonel Isaac Hull Wright was born in Boston, in January, 1814, and received his early education at the English High School. In 1829 he graduated from that institution and entered the employ of Wright, Priest & Co., West India merchants, at the corner pf Broad and Central streets, his father being the senior partner of the firm. He had no taste for mercantile pursuits, but showed a special fondness for politics. In the campaign of 1840 he figured prominently, and afterwards was interested ih the publication of a political newspaper. He was a member of the State Senate of Massachusetts in 1843, and subsequently received a nomination for Congress in John Quincy Adams's District, but was defeated at the polls. "At the call for volunteers to enter active service in Mexico, at the time of the Mexican War, Colonel Wright volunteered. For some time previous he had been an active member of a company in this city, called the 'Rifle Rangers,' commanded by Capt. Ivers J. Austin. Colonel Wright was elected Lieutenant-Colonel of the Massachusetts Mexican Volunteers. Before his departure the Rangers tendered him a banquet, and he was also presented with a sword. When Col. Caleb Cushing, who commanded the Massachusetts regiment, was promoted to a General, Lieutenant-Colonel Wright received a Colonel's commission, and he retained the office until the close of the war. During his stay in Mexico he was the military governor of Monterey when that city was captured, and later was made military governor of Perote. On his return from the Mexican War, Colonel Wright was appointed naval agent in this city, by President Taylor, and remained in that office during the administration of President Fillmore. 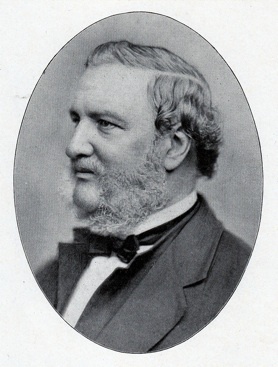 He studied law in the office of Professor Parsons, of Harvard University, during 1861-2; in 1863 received the degree of LL.B. from that institution, and was admitted to the Suffolk Bar. He practised as attorney-at-law until 1873, when he was elected Street Commissioner, and at the expiration of his term, having proved himself so efficient and painstaking, he was nominated for the same office by all the principal parties, and he was elected. At the time of his death he was serving on his third term as Street Commissioner for the city of Boston. "Colonel Wright was married to a daughter of the Rev. Hosea Ballou, the eminent Universalist divine, a Brother of whose interest in the Fraternity we have tangible evidence in two sermons preached before Vermont Lodges in 1805, copies of which are now in our Library. Colonel Wright was the first commander of the Boston Light Dragoons, and was also a member of the Ancient and Honorable Artillery Company, being commander of that organization in 1850. Isaac Hull Wright applied to Hiram Lodge, of Arlington, for the degrees of Freemasonry, and received the degree of Entered Apprentice in that Lodge, March 21, 1850. He was passed April 25, 1850, and was raised to the degree of Master Mason May 23, 1850. He held the office of Worshipful Master of Hiram Lodge in the year 1857, and, March 13, 1873, was elected an Honorary Member thereof. He was a permanent member of this Grand Body, having been elected Junior Grand Warden, Dec. 28, 1857. R.W. Bro. Isaac H. Wright died at his home in Dorchester, December 22, 1886. Though in feeble health for some time, the immediate cause of his death was a sickness resulting from a cold contracted at the dedication of the Washington monument, Washington, D.C.
"Although his active service in this Grand Lodge was bestowed nearly thirty years ago, and, notwithstanding his advanced age, he was a frequent attendant upon our Communications, always manifesting a strong interest in the proceedings, and frequently making valuable suggestions as to the topics under discussion. The Fraternity may well unite with his family and the community in paying the tribute of gratitude and grief over the grave of a useful citizen, a kind friend, a disinterested Brother. This page was last modified on 26 August 2011, at 08:09.